There are many different types of driver-related documents in existence today. The main reason that driving documents exist is to keep a live record of drivers and their vehicles in each U.S. state. Every driving document serves a different purpose. Driver documents and credentials are handled at the state level, and each state designates specific offices to issue driver documents. 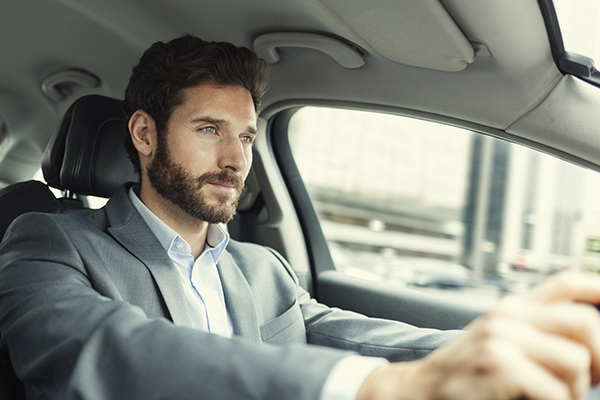 While some states allow drivers to obtain all of their documents in one convenient destination, others issue driving credentials across different locations. The team at Drivers-Licenses.org has taken the time to define the different types of driver documents and their purposes, which are outlined below. Learner’s permits – Learner’s permits are also known as learner’s licenses and are issued to drivers before they apply for official driver’s licenses. Each state has its own rules regarding the requirements that must be met to obtain a learner’s permit, from required driving school hours to age limits. Driver’s licenses – Driver’s licenses are awarded to qualified drivers at certain ages. In most states, you must hold a learner’s permit prior to obtaining your driver’s license. However, the team at Drivers-Licenses.org notes that certain states do allow drivers of specific ages to bypass the learning license phase. To obtain a driver’s license, you must pass a vision screening, a written exam and a road skills test. Motorcycle licenses – For those who are interested in driving their motorcycles legally on state roads, motorcycle licenses are mandatory. Some states offer motorcycle endorsements, which essentially accompany your driver’s license. Laws vary from state to state regarding motorcycle licenses, so be sure to review your state of residence’s policies prior to hopping on your hog. Commercial driver’s licenses – Those who want to drive vehicles for work purposes and for profit must obtain commercial driver’s licenses, or CDLs. Note that a CDL is different from a standard driver’s license, and requires applicants to fill out separate forms and take different tests. Suspended licenses – Suspended licenses are the result when drivers disobey their state’s driving laws. These suspensions essentially strip drivers of their privileges temporarily or indefinitely. If your driver’s license is suspended, the team at Drivers-Licenses.org reminds you that you may still be able to drive to and from work, with the approval of the state. In many cases, suspended licenses are followed by periods of reinstatement, during which drivers must apply to get their privileges back. Car registrations – Vehicle registrations serve to prove that a car is registered to be operated on state roads. Car registrations are generally issued along with license plates and tags to drivers. Although most new car dealerships handle vehicle registration on your behalf, there are some scenarios that require you to register your vehicle in person, on your own – like if you buy a car out-of-state, or if a vehicle is gifted to you. Car titles – A vehicle title is a document that serves to name the owner of a vehicle. Car titles can be issued to people, as well as lenders and lienholders, depending on how a vehicle is financed. If a car is sold from one person to another, both parties must participate in the car title transfer process. Driving records – So long as you are a credentialed driver, you will have some sort of driving record in your name. A driving record provides a driver’s history and is available in several date increments. Driving records report official information on drivers that have been involved in vehicle-related incidents with the law. Vehicle history reports – A vehicle history report is a document that provides the complete history of a vehicle, starting from when it was built and released by a car manufacturer. Any time a vehicle is involved in a crash, or requires repairs, this information becomes a part of the vehicle’s history. Bills of sale – This vehicle document is a form that is required when a vehicle is sold from one person to another. Often utilized in private vehicle sales, a bill of sale may be required by a state vehicle office when registering or titling the vehicle.